TrimPro Unplugged - ON SALE! - FREE Shipping! 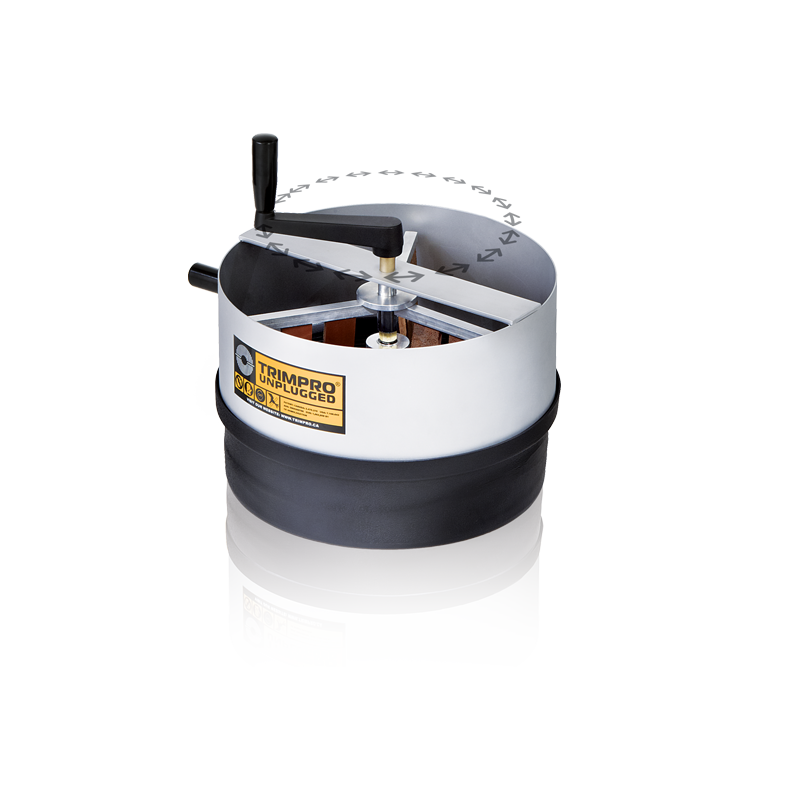 Our quietest trimmer ever, the new TRIMPRO UNPLUGGED is a light, yet rugged ‘go-anywhere’ model designed for the home enthusiast and ideal for use in the apartment, greenhouse, or any situation where a need for noise discretion means power models just won’t do. The TrimPro Unplugged gently processes flowers with slim leather fingers encouraging leaves onto its grate and the razor-edged, stainless steel blades below. And speed, of course, is controlled by your very own hand. The most advanced and efficient power-free trimming unit ever developed, no aspect of the TRIMPRO UNPLUGGED has been overlooked in its design. The size, weight and shape, along with the reversible trimming action, all contribute to the TrimPro Unplugged trimmer's ideal ergonomics. The leather fingers are treated with natural oils to reduce adhesiveness and maintain their suppleness. The stainless steel blades are of the highest possible quality, and of course, blade height is adjustable as with all TRIMPRO products.